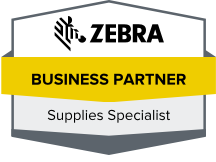 Tri-State Business Systems offers Zebra printer labels and barcode supplies for all your inventory needs. Zebra barcode labels are great for just about every organization. A lot of companies offer barcode labels that take a long time to install or poor quality that cannot withstand the application. Furthermore, customers need to print two or three separate labels, and cut and paste, in order to make one whole label. Zebra printer labels are easy to install, and everything is on one label with multiple size and application options. These barcode labels are tough, and they are easy to stick on an paper envelope, shipping package, plastic cards and more. Business owners will find it easy to have labels printed and placed on the appropriate application in a quick amount of time. Zebra labels will help business save time and money. These are not average labels. Court systems will also enjoy these labels. These barcode labels will help court employees do their job quicker, because a lot of steps can be eliminated when using these labels. A lot of businesses and agencies have already used these labels, and they have never been happier with the efficiency of their employees and the money and time they are saving everyday. Tri-State Business Systems also offers products including but not limited to: ribbons, software, scanners and printers; these products bear great names like: Zebra, Sony, Datamax and TSBS. Today is the day to purchase these printer labels. Businesses no longer deserve to lose money. Contact us to learn more about our wide selection of Zebra printer labels and products.